By: Alexandr80 posted on January 17, 2017 in Free PSD Mockups . You are welcome to download Spiral Book that is absolutely Free PSD Mockup for your business and entertainment. Download Free mockup in PSD and easily customize it in Photoshop any way you need. Find also Premium version of Spiral Book and enjoy the benefits! 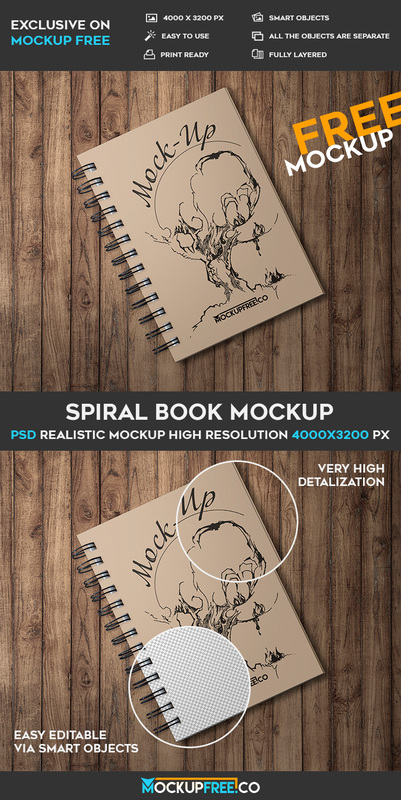 This Free Spiral Book mockup can be good for implementing a lot of designers ideas as well.